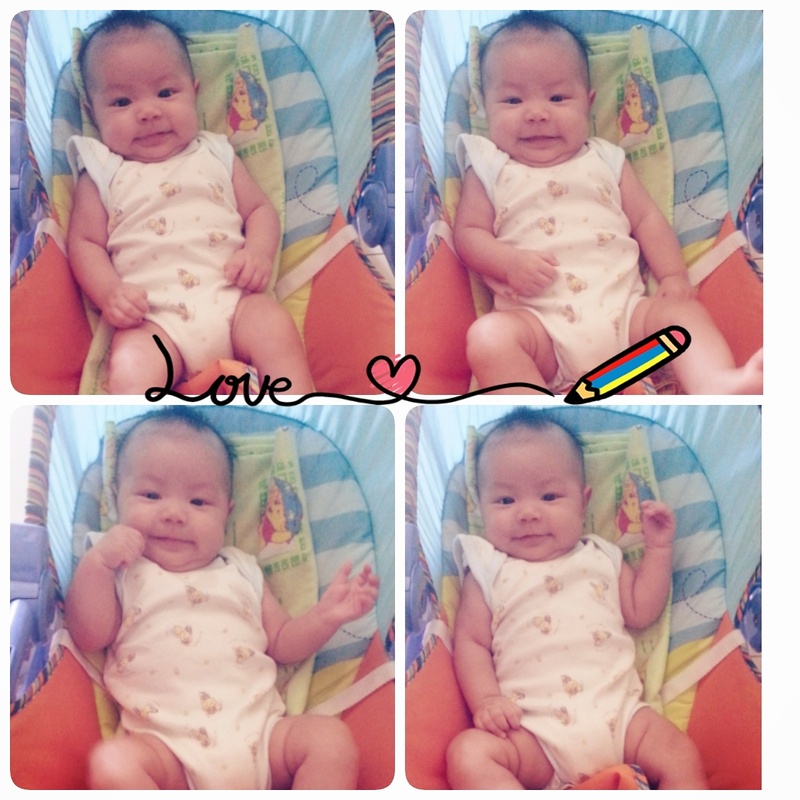 I remind myself to write no matter how busy is taking care of 2 kiddos now. I remind myself that i should enjoy each moment with them because time flies. It is true that they say : The days might be so long but the years are so short! 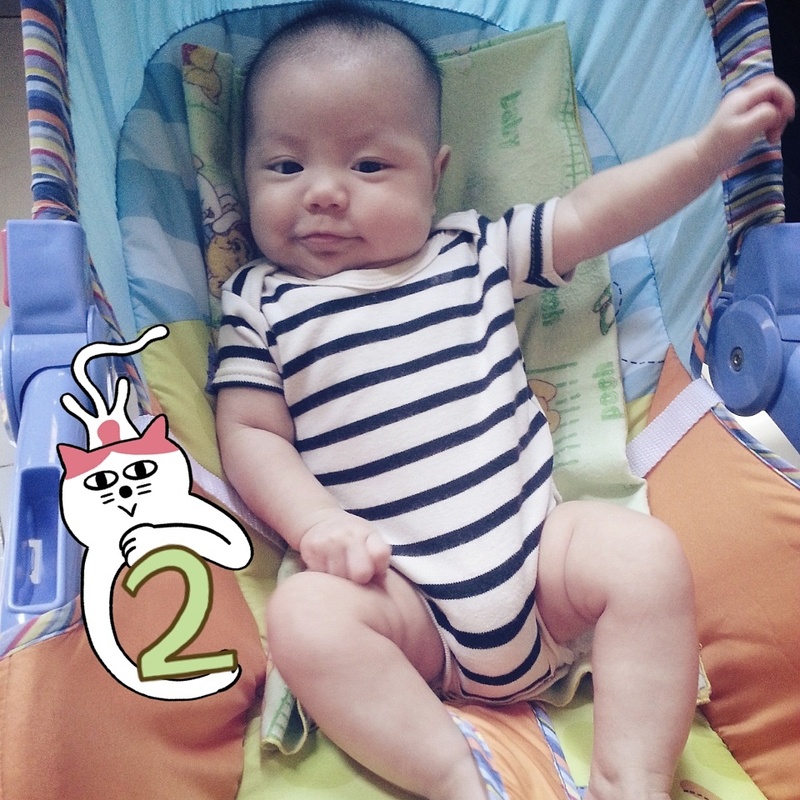 Rene gained 1.3 kg on the first month (2.5 kg to 3.8kg) and 1kg on the second month (4.8kg). 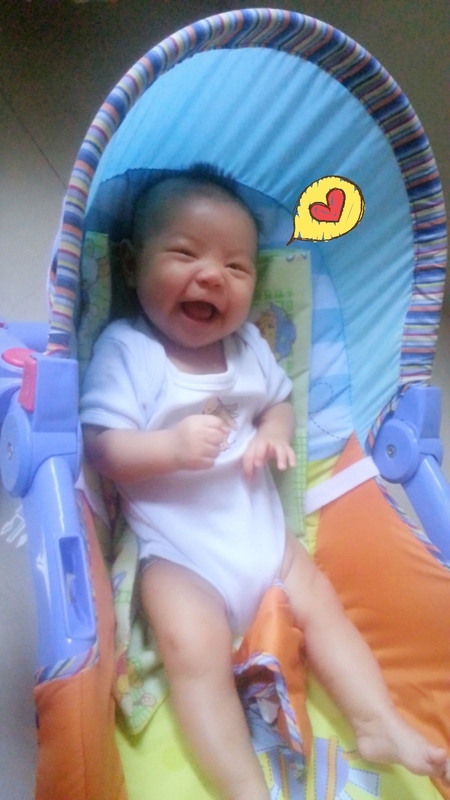 This happy baby started to cooing at her 7weeks, faster than her brother. She’s also a good sleeper (thanks god) She rarely has good nap at noon but sleep very well at night. She will cry loudly when she feels sleepy. Only papa and mama could calm her down at that moment. 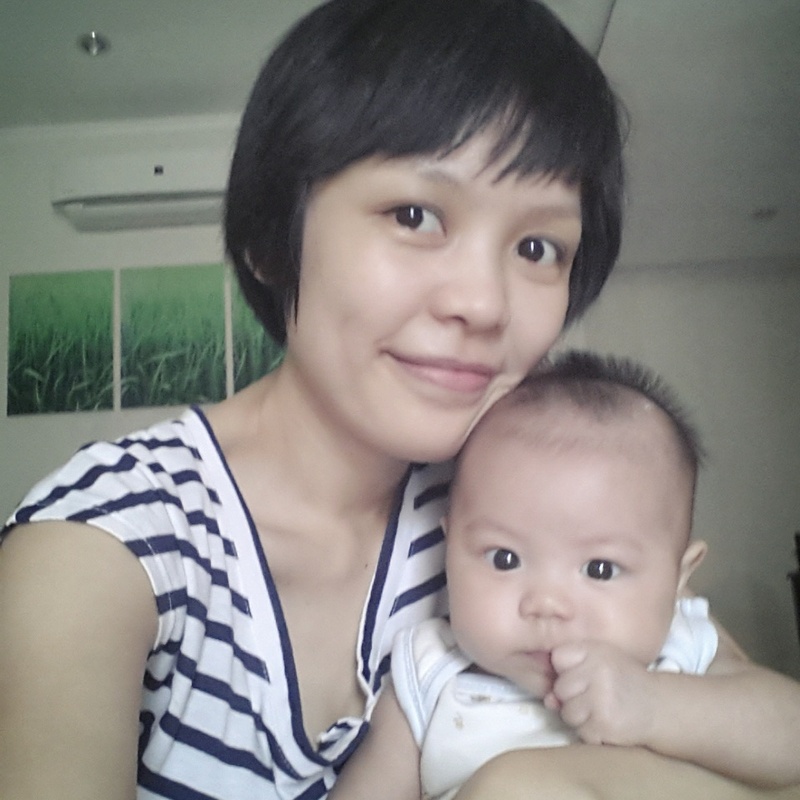 After crying (around 6 or 7pm) she will have a deep sleep until tomorrow morning. She will wake us up every 4 or 5 in the morning. Mostly cooing and smiles at us for half an hour and then back to sleep.